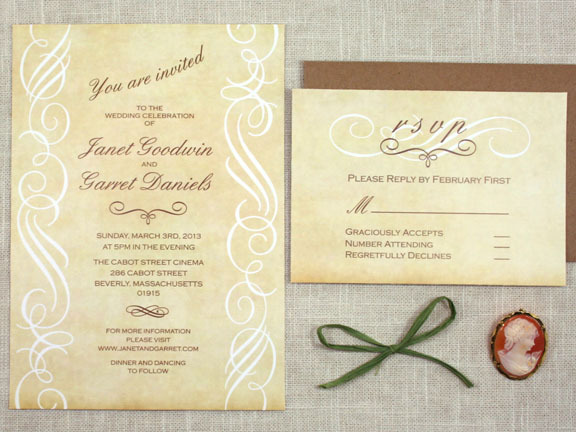 This modern and classy invitation is perfect for a fashion-forward wedding. 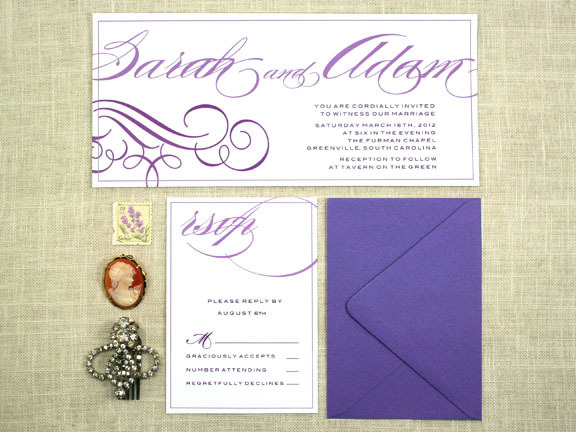 Seen here in purple, this invitation can be printed in any color to match your wedding colors. For more information, check out the Sofia Invitations Etsy page.